I was born in Glasgow, Scotland in November 1943, my parents moved to Africa in 1945 and ended up in Rhodesia where I was educated at Churchill School, Salisbury. As a child I always loved drawing and as I also did well artistically at school I decided to follow art as a career. On leaving School I decided to study in England where I attended Walthamstow School of Art from 1961-65. At Walthamstow I was privileged to have tutors of the calibre of Peter Blake, Fred Cuming and Ken Howard. I graduated in 1965 with a National Diploma in Design (NDD) in fine art and returned to Rhodesia where I started a career in graphic design. 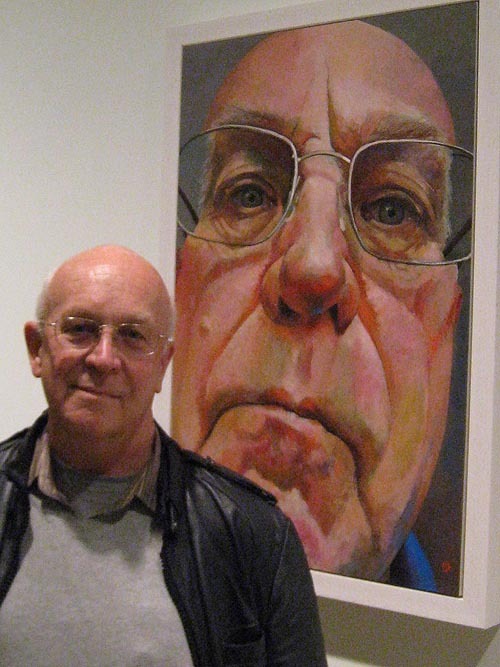 Following a long career in advertising, graphic design and illustration I retired in 2009 and now concentrate my time on painting and sculpture, exploring the techniques of painting in oil, watercolour and acrylics as well as modelling portraits and figures in clay. I particularly enjoy portraiture both in two and three dimensions. Painting landscapes, still life and drawing, painting and sculpting the human figure although I will tackle almost any subject matter and enjoy experimenting with new media. To get more work into National Exhibitions, particularly in London. Dabbling in other disciplines such as etching, mono-prints and other forms of printmaking is an aim when I can find time. I have a particular interest in portrait painting and portrait sculpture, the challenge of reproducing a likeness of the human persona in paint or clay is fascinating for me. I have exhibited in Rhodesia, Brussels, France, and UK. and am a regular exhibitor at Obsidian Art Gallery during ‘Open Studios’ and other themed exhibitions as well as being an active member of Oxford Art Society and Buckinghamshire Art Society. As well as many private collections worldwide my paintings are in public collections at Stoke Mandeville Hospital, Aylesbury Vale District Council and recently two of my paintings were bought by The House of Lords. The large self-portrait shown above was accepted for the Ruth Borchard 2011 Competition and Exhibited at Kings Place Gallery in London. I held a very successful ‘one man show’ in Thame at ‘Ballon Rouge Art Gallery‘ in 2014. I have been on the committee and held the posts of Exhibition Secretary and Web Site Coordinator for The Buckinghamshire Art Society. I also exhibit regularly with the Oxford Art Society and design the publicity for their exhibitions.